Dedicated to improving the lives of people with diabetes throughout the world by empowering healthcare professionals with training, education and information on diabetes. As we now understand that there is a strong correlation between cardiovascular complications and diabetes, we are expanding our mission to include cardiovascular disease. To that end, we have created a specialized subgroup within Worldwide Diabetes, named “Worldwide CardioDiabetes.” Led by a world-renowned Board of Directors, our first initiative is an international congress planned in partnership with the Sociedad Mexicana de Nutrición y Endocrinología, September 27-28, 2019, in Guadalajara, Mexico. Click here to obtain more information or to request additional details. 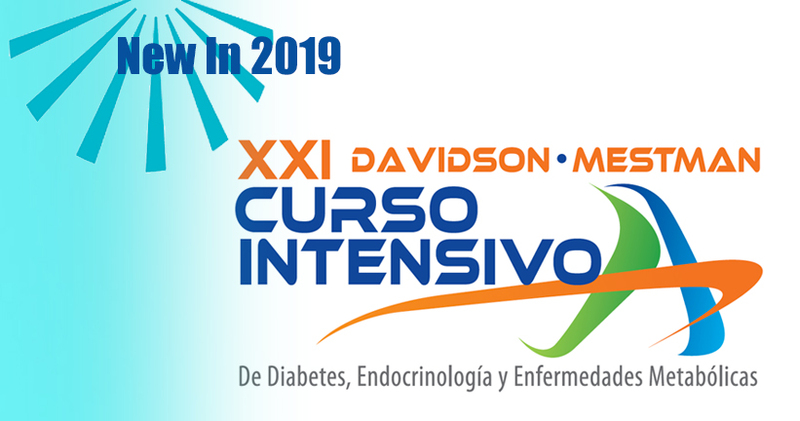 The Worldwide Initiative for Diabetes Education and the University of Miami Leonard M. Miller School of Medicine announce the XXI Davidson-Mestman Curso Intensivo de Diabetes, Endocrinología y Enfermedades Metabólicas. This continuing medical education initiative, now in its 21st year, will provide Spanish-speaking endocrinologists, internists, and family physicians with important information regarding advances in the diagnosis and treatment of endocrine and metabolic diseases. This premiere educational forum for Latin American physicians, as well as those in the United States who treat Spanish-speaking patients, will combine didactic lectures, interactive workshops, and one-on-one meetings for a comprehensive learning experience. Please check the website frequently as more information regarding the agenda, speakers, registration and accommodations will be posted in the coming months. For interim questions, please contact Ruben Gutierrez via e-mail at Ruben.Gutierrez@worldwidediabetes.org. The Worldwide Initiative for Diabetes Education (Worldwide Diabetes) is introducing a scholarship to allow a young physician with limited resources to attend next year’s 79th Scientific Sessions of the American Diabetes Association in San Francisco. This scholarship will cover: roundtrip airfare, hotel accommodations, meal stipend, conference registration, and a grant of $2,000, based on completion of the requirements, not to exceed $10,000 USD. Given the current focus on obesity as a disease and the obligation of professionals to understand its diagnosis and treatment, Worldwide Diabetes is committed to providing educational programs that will advance the knowledge of healthcare professionals of this important disease state. We invite you to learn more about our initiatives here and to view resources that relate to important topics such as the pathophysiology of obesity, the mechanism of action of therapeutic options, and a clinical review of current and emerging treatments.